The Vauxhall Lotus Carlton outwardly looks like a standard family saloon. 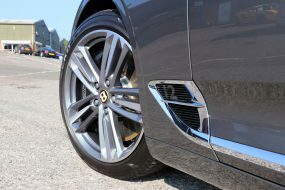 However, the Lotus designation indicates this model has been upgraded by Lotus to be a 177 mph (285 km/h) sports saloon with impressive acceleration capabilities that equalled the supercars of the era. Outwardly there is little to distinguish it from the standard Vauxhall Carlton with the majority of the modifications limited to underneath the bonnet. Only a rear spoiler, a body kit with flared wheel arches, vents on the bonnet and strategically placed Lotus badges give away what lies beneath! Bestowing the Lotus Carlton its power is an enlarged (3.6 Litre) engine fitted with twin Garrett T25 turbochargers, providing around 10.1526 psi of boost from 1500 rpm and a modified intercooler system. Various elements were reinforced to withstand higher pressures and to enable the engine to perform more reliably. 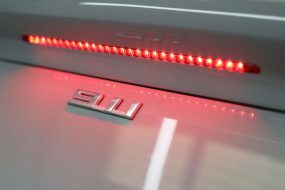 Rear wheel drive power is delivered via a rear limited-slip differential (borrowed from the V8 Holden Commodore) from the uprated engine and through the six-speed manual ZF transmission borrowed from the Chevrolet Corvette ZR-1. 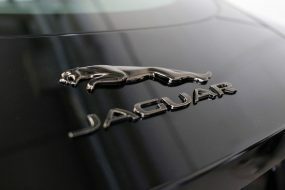 The end result is a staggering 377 bhp capable of achieving 0–60 mph in 5.2 seconds and a top speed of 180mph. The gearing design allows the Lotus Carlton to accelerate to 55mph in first gear. These figures inspired a good deal of controversy as the police cars of the time could not match it. The Lotus Carlton was, therefore, an ideal target for the unscrupulous and there are tales of the era of thieves and robbers using the model as a getaway vehicle. Such was the furore caused by the performance capabilities of the Lotus Carlton, Parliament debated whether it should be allowed, unrestricted, on public roads! 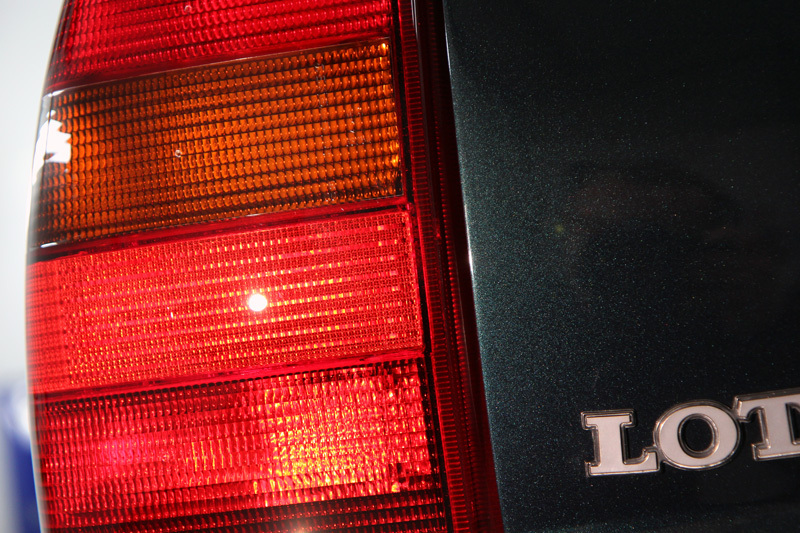 Production of the Lotus Carlton began in 1990 and ultimately ran for just two years, with a total of 320 being built. It was made available in one colour only, Imperial Green, a shade so dark that in anything other than direct light it appears black. The model is now entering the era of being a modern classic and well-looked after examples with low-mileage are quite rare. With this in mind, the current owner couldn’t resist bidding when he recently discovered one for sale at auction. 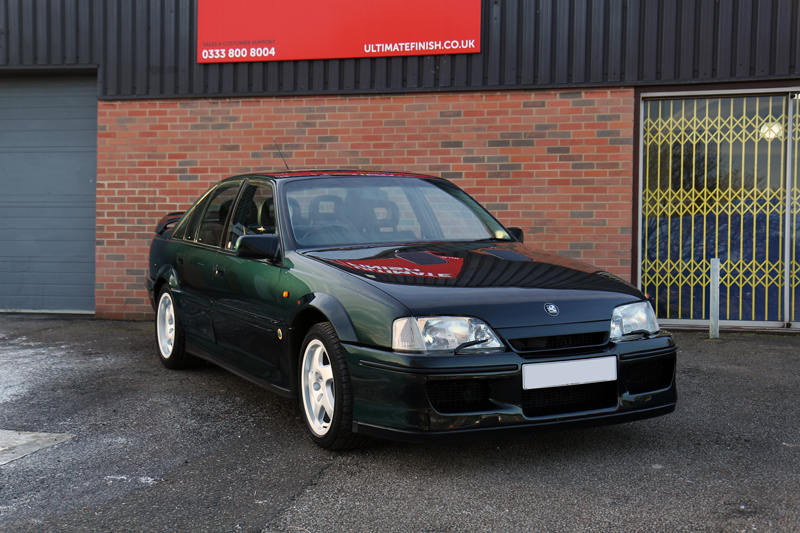 A passionate fan of the Lotus Carlton which he considers “an iconic British motoring legend”, he secured the deal and shipped it from Scotland. This particular one is Number 75, was the third UK model to roll off the line and the first one in Scotland. Unsurprisingly then, he decided to restore the car, inside and out so brought it to UF’s Brands Hatch Detailing Studio for Paint Correction. Additionally, the leather was to be deep cleaned and recoloured, the trim restored, the fabrics cleaned and protected and the glass coated with a hydrophobic coating. 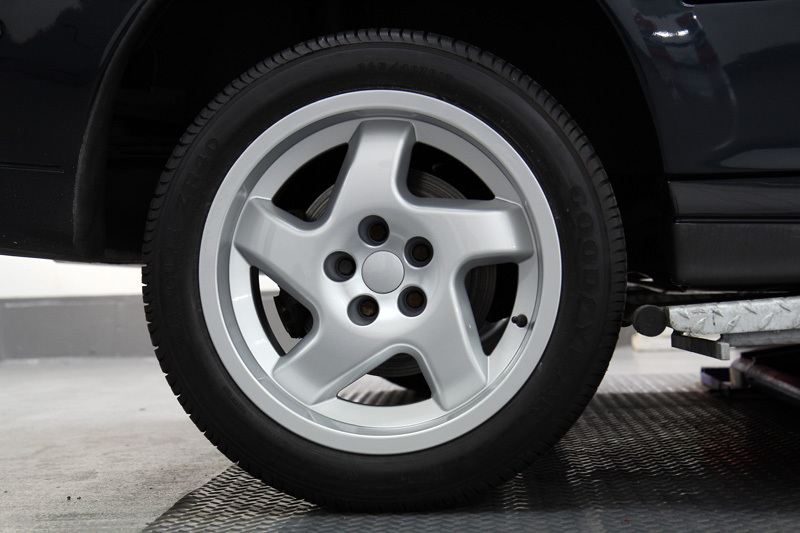 The wheels were to be completely refurbished and then protected and the engine detailed. In short, a complete functional and cosmetic overhaul followed with a protection treatment which would take many days to complete. A thorough clean was the first priority, and given the age of the vehicle, every nook and cranny had to be minutely inspected for contamination build-up. The initial stage was to treat the car for iron deposits using Bilt-Hamber Korrosol. Iron contamination is usually derived from brake pads shredding when the brakes are applied. Small hot particles become aerosolised and bond with the first substrate they come into contact with and begin to oxidise, swelling as they do. Left in situ they can cause permanent pitting. Korrosol contains an active ingredient which shrinks the particles causing them to break this bond. The contamination can then be easily rinsed away. 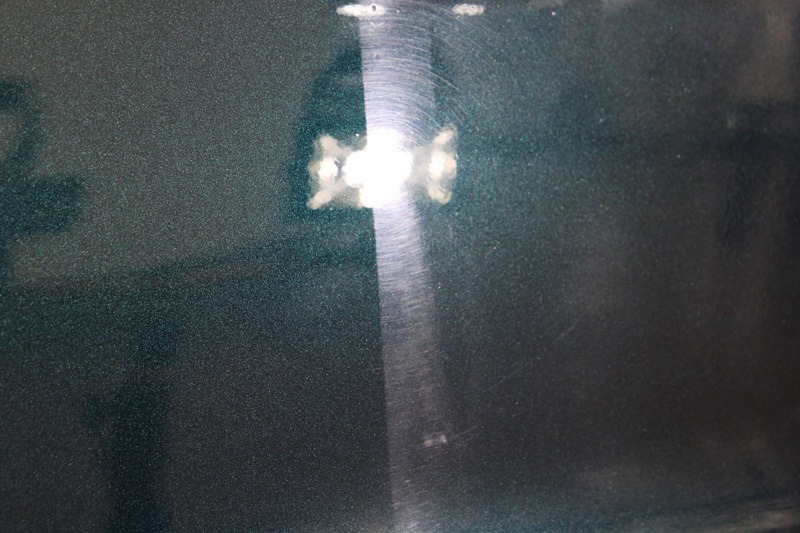 The bodywork, wheels, boot, bonnet and door shuts were then treated for remnants of grease, oil and wax using a solution of Bilt-Hamber Surfex HD. 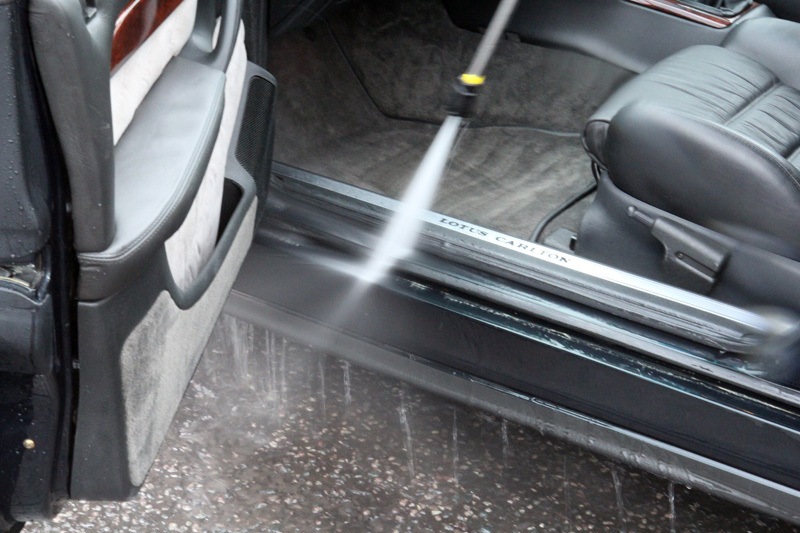 Areas prone to collecting greasy residues, such as door catches were cleaned using a detail brush to lift the grime away from the edges and grooves. The engine bay was initially treated with Kamikaze Collection Silica Scale Remover, specifically designed to dissolve baked-on water evaporate deposits. All areas were then carefully rinsed using a Kranzle K-1152 pressure washer. The car was raised on a trolley jack at each corner to increase the space between the wheel and arch to allow for more thorough cleaning. The area under each wheel arch was treated with a degreaser and fallout solution followed by Ultimate Snow Foam to release the larger particles of dirt and grit. The wheels were cleaned using Wheel Woolies to reach through the spokes to allow thorough cleaning of the rear of the rims. 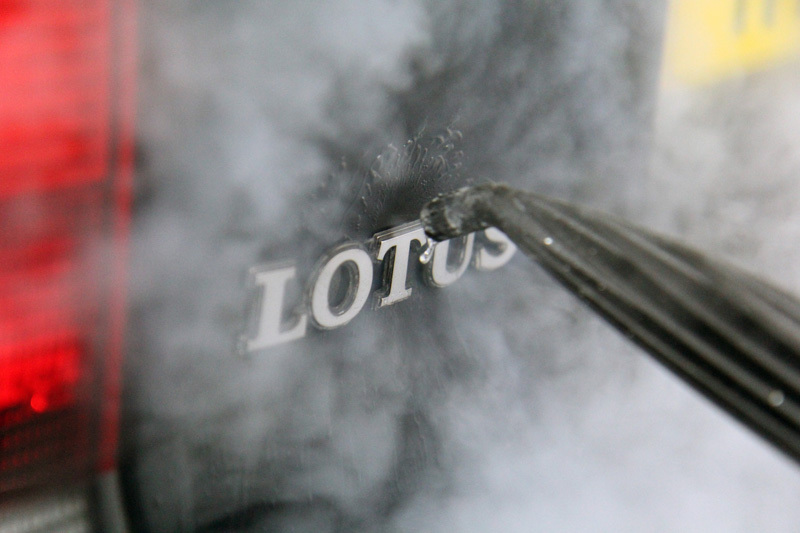 Polish residue had collected around the badges and over time had become hard baked onto the bodywork so a steamer was used to soften the deposits. The area was agitated with a detail brush to pry loose all remnants of the polish. 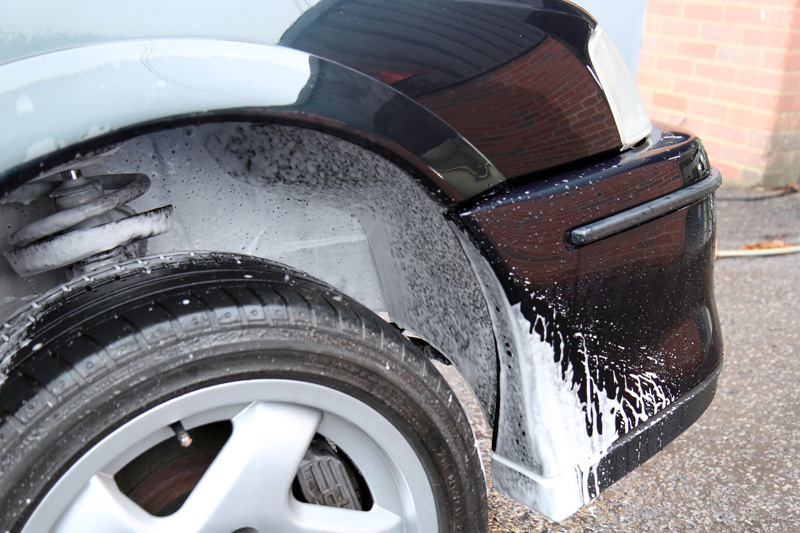 The car was then pre-cleaned using Ultimate Snow Foam to lift remaining larger particles of dirt and grit away from the surface of the paintwork. 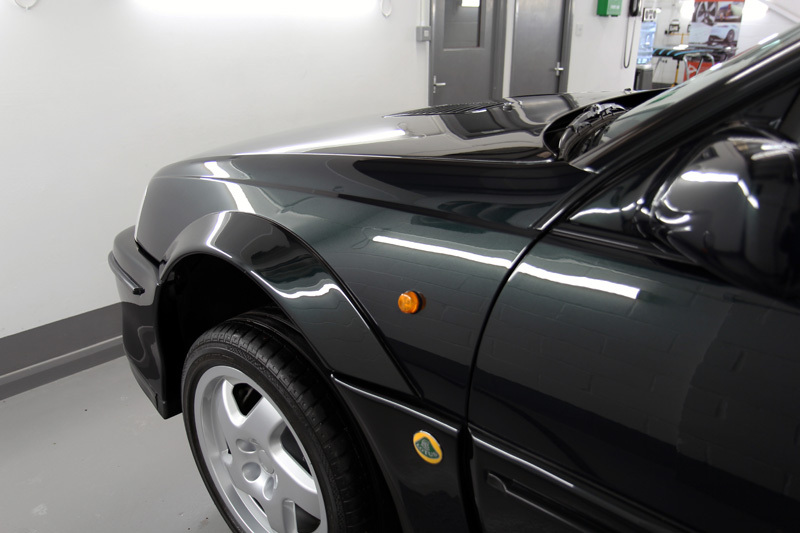 After rinsing, the Lotus Carlton was washed using the Two Bucket Method and Nanolex Pure Shampoo. Following another rinse, an Aqua Gleam De-ionising Water Filter was attached in-line with the hose to give a final pure water rinse. 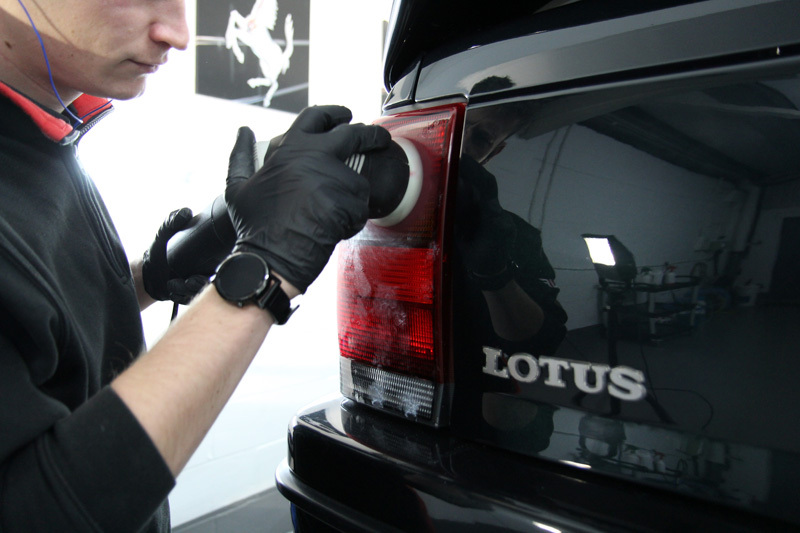 The car was then dried using soft microfibre drying towels and brought into the detailing studio. Here, the car was put on a hydraulic ramp, the wheels removed and sent for refurbishing. 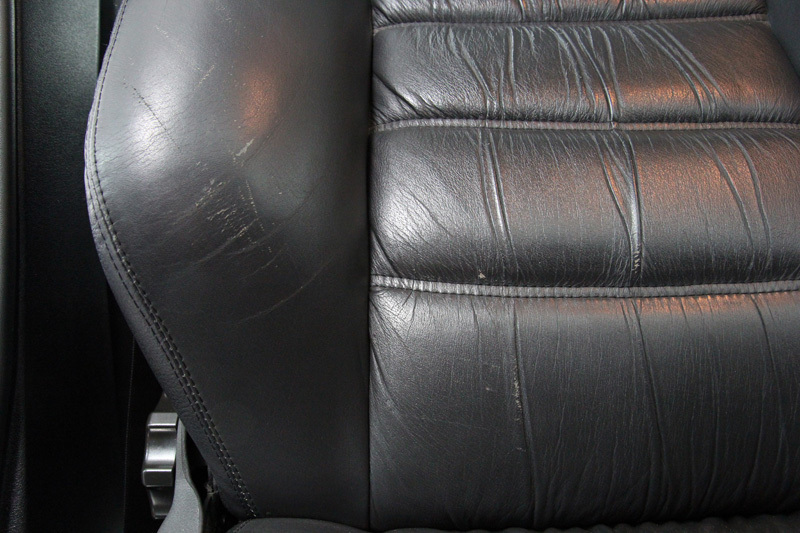 The dark leather had become worn and faded through UV degradation and general wear and tear. 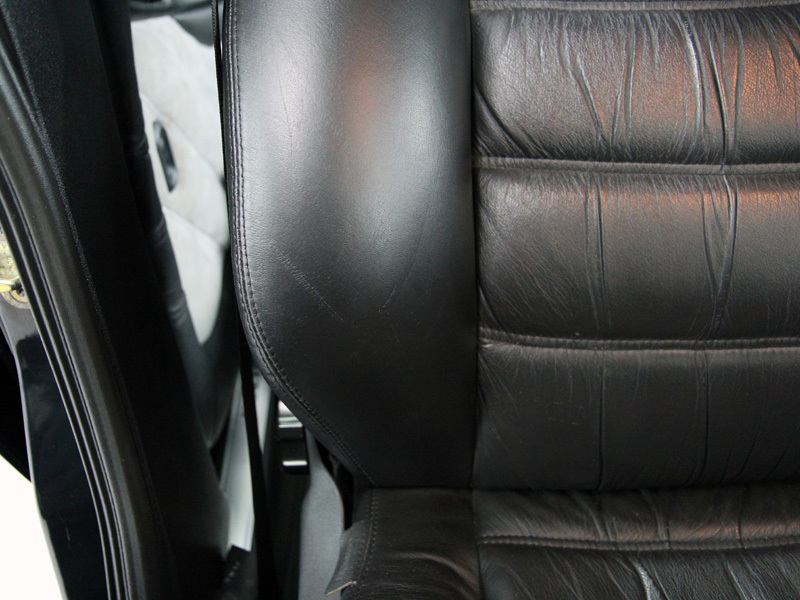 Initially, the leather was cleaned using Colourlock Mild Leather Cleaner. The solution is applied using a leather brush and worked into the material, the bristles lifting ingrained dirt out of the grain. 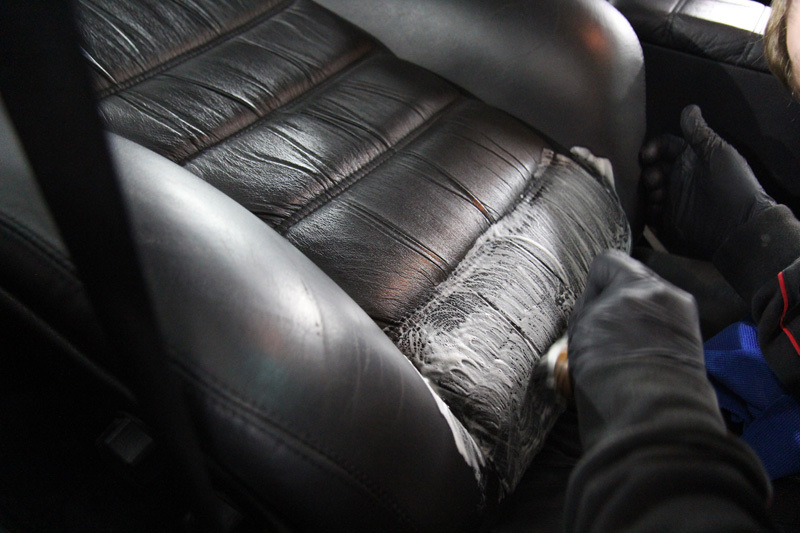 The foam was wiped away with a microfibre before the leather was degreased using Colourlock Leather Cleaning Spirit. This ensures any greasy residues from skin, hair, hand and body creams, etc. that may interfere with the dying process are removed. The affected areas were then sanded by hand to prepare the leather to accept the dye. The black dye was applied using a sponge applicator, working seam to seam to ensure complete coverage. To avoid streak marks once the dye was dry, the area was dabbed with the corner of the sponge to provide a slightly stippled effect. The colour was encouraged to dry using a heat gun and once cured, the leather was protected using Colourlock Leather Protector to provide a flexible, abrasion resistant barrier. The carpets were refreshed using Colourlock Alcantara & Textile Cleaner and allowed to completely dry before being protected with Gtechniq I1 AB Smart Fabric. This nanotechnology-based spray on sealant coats the individual fibres of the carpet to provide a hydrophobic barrier without affecting the feel of the carpet or leaving a sticky residue. This barrier encourages water-based liquids to roll into beads on contact rather than soak into the fibres. This helps prevent stains and, with the ‘AB’ designation, I1 AB Smart Fabric also provides an anti-bacterial function to help stop the spread of germs and odour-causing bacteria. The interior dashboard and instrument panel were cleaned and then protected with Gtechniq C6 AB Matte Dash to leave an anti-bacterial satin finish. 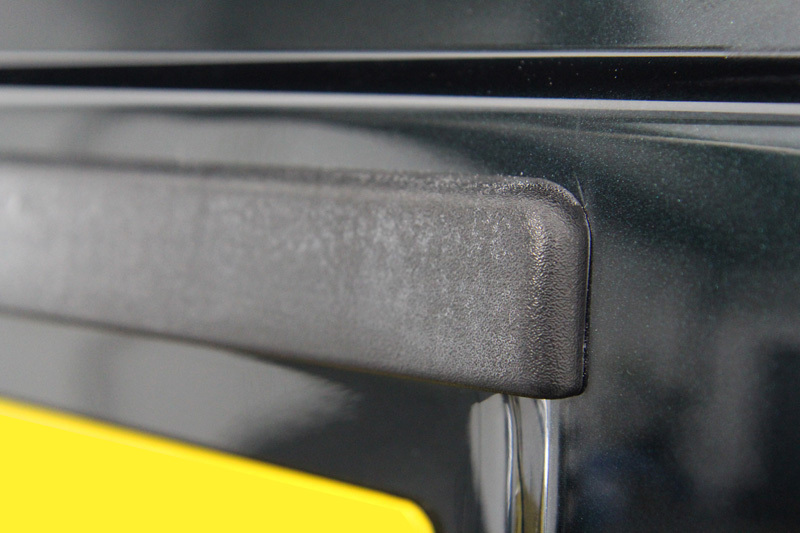 The door cards and exterior trim were heavily contaminated with old polish residue which had turned them from black to a milky colour. 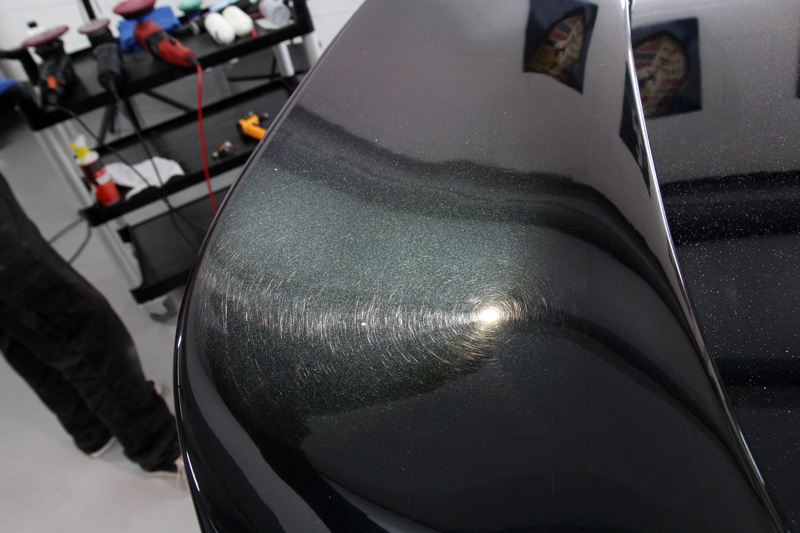 The affected areas were treated with Solution Finish, a specialist colour restorer which eliminates the unsightly staining and restores the deep black colour. 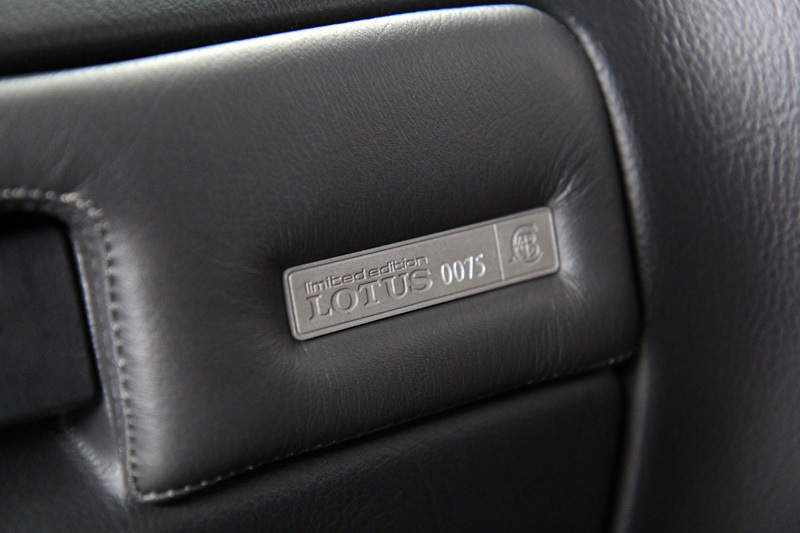 With the interior completed, attention turned to the exterior of the Lotus Carlton. 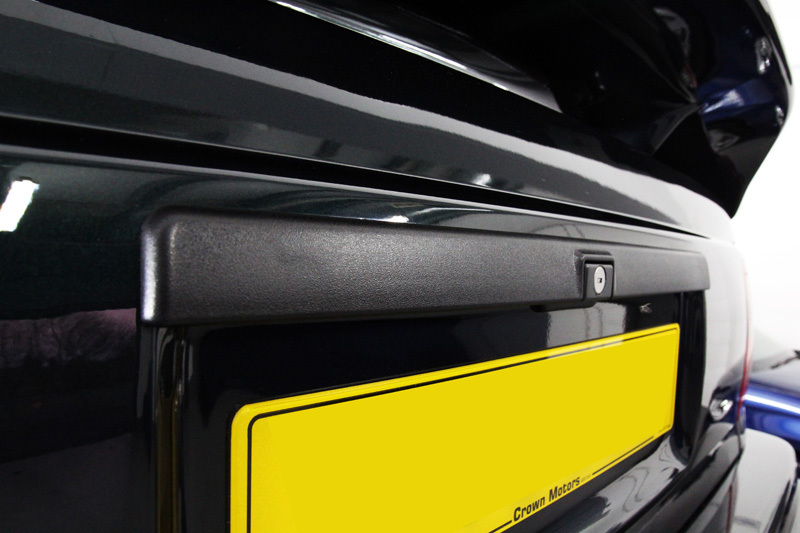 The bodywork had been subjected to restoration and repainting to eliminate rust from the rear pillars, boot lid, roof, front bumper, the inside of the bottom of the doors and the outside of the top of the doors. 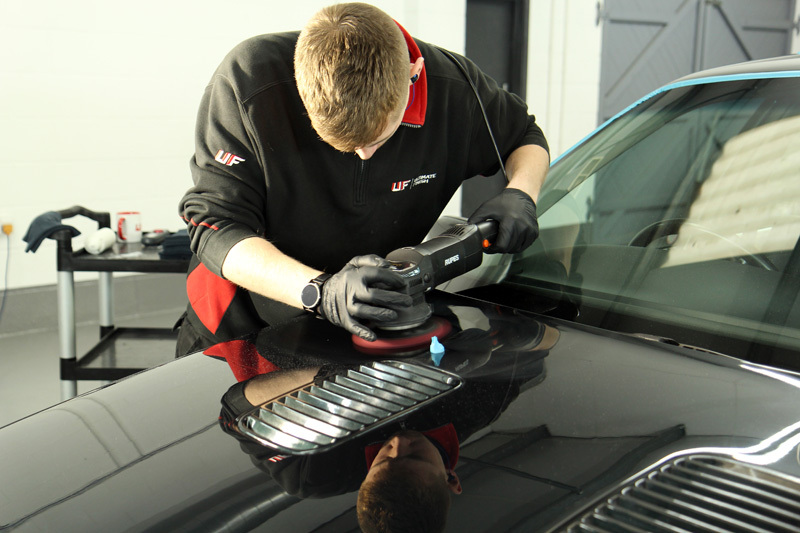 As a result, the paint depth readings indicated different levels of paint over the whole of the vehicle and also translated into four different types of paint behaviour during the machine polishing process. 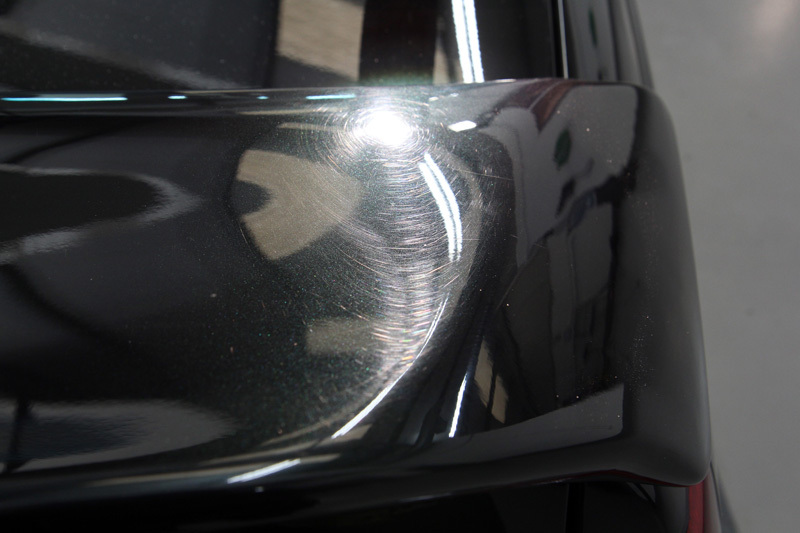 High-intensity lighting showed the new paintwork had fine scratches and minor swirls, whereas the damage on the older paintwork was significantly greater. 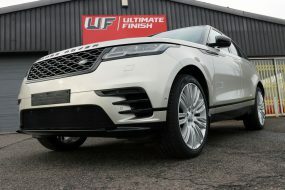 The bodywork was corrected using a RUPES LHR 15ES BigFoot Random Orbital Polisher for the larger flat panels, and a BigFoot LHR 12E Duetto and BigFoot LHR 75E Mini for smaller areas such as the door pillars. 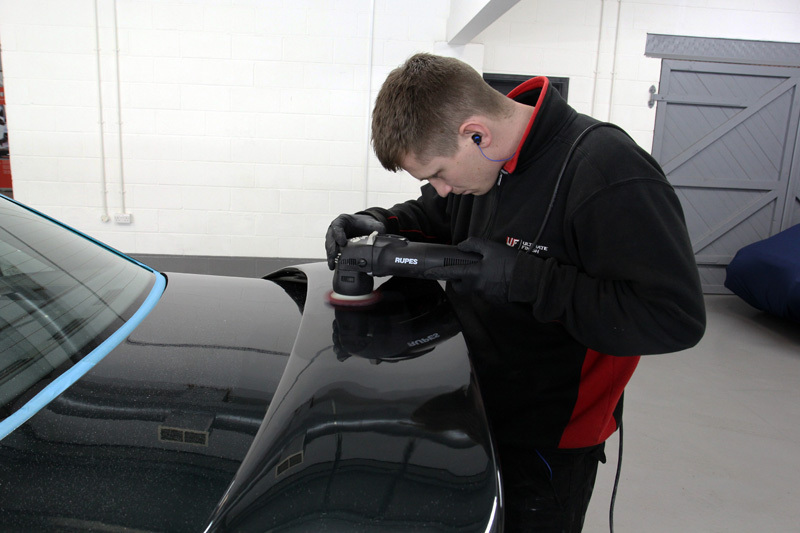 In all cases, a Kamikaze Collection Banzai Dynamics Polishing Pad was used, the Dot Point Polishing (DPP) Technology providing the right level of cut to make light work of the damaged paintwork. 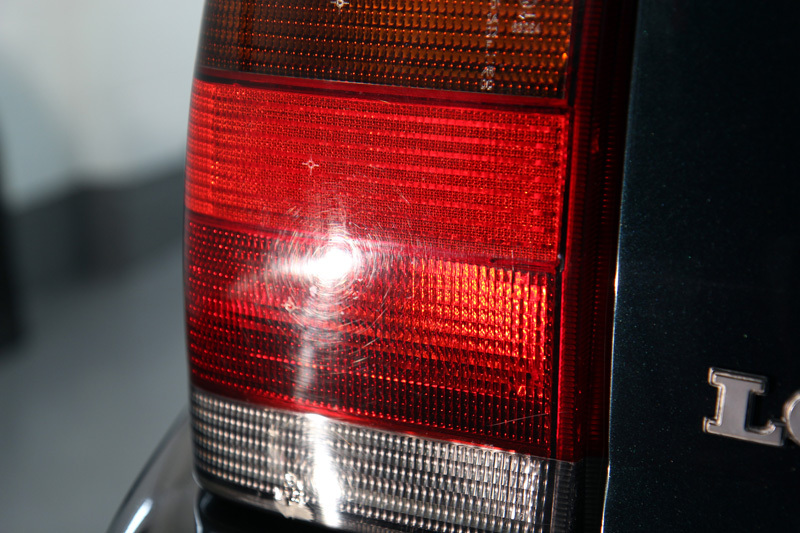 The plastic taillight covers were also scratched, so to restore the clarity they were machine polished using a Banzai Dynamics Pad and Menzerna Heavy Cut Compound 400. 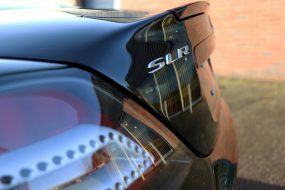 Following the paint correction process the refining stage was completed using a FLEX PE14-2 Rotary Machine Polisher with a SCHOLL Concepts Black SOFTouch Waffle Pad and Menzerna Super Finish Plus 3800. To ultimately protect the finish, Kamikaze Collection’s new, flagship, professional-only ENREI Coat was used. This innovative two layer nanotechnology-based coating combines low molecular weight elements to provide a highly durable, water-repelling coating that withstands water spotting, attack from harsh chemicals and environmental fallout. 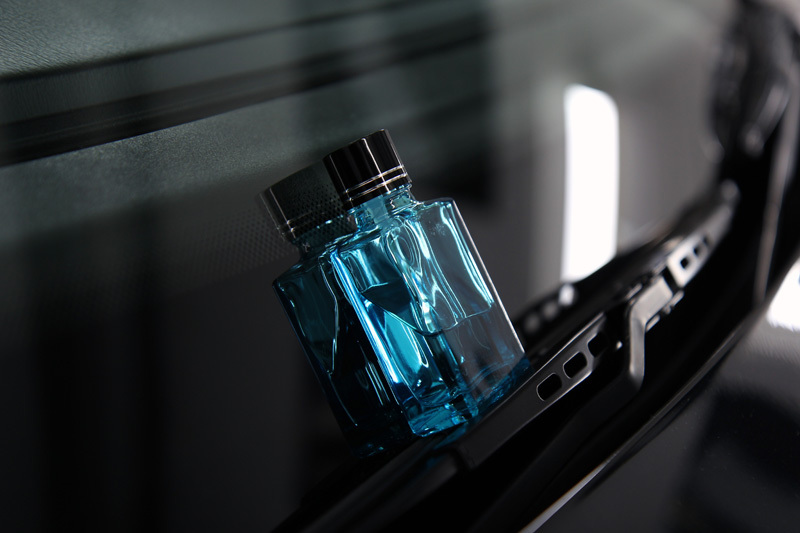 The high gloss shine ENREI provides is extreme and requires little upkeep: a weekly wash with a pure shampoo is enough to dislodge any contamination without the need for astringent chemicals or vigorous rubbing with a wash mitt. The wheels were returned from the refurbishers and replaced on the vehicle before being protected with Kamikaze Collection Stance Rim Coat. Specifically formulated to withstand the unique conditions alloy wheels face, Stance Rim Coat repels dirt, water, oils and brake dust. Highly heat resistant, Stance Rim Coat will not burn off when the wheels become hot during use and the strong chemical bond it forms with the wheel means it will not wash away. 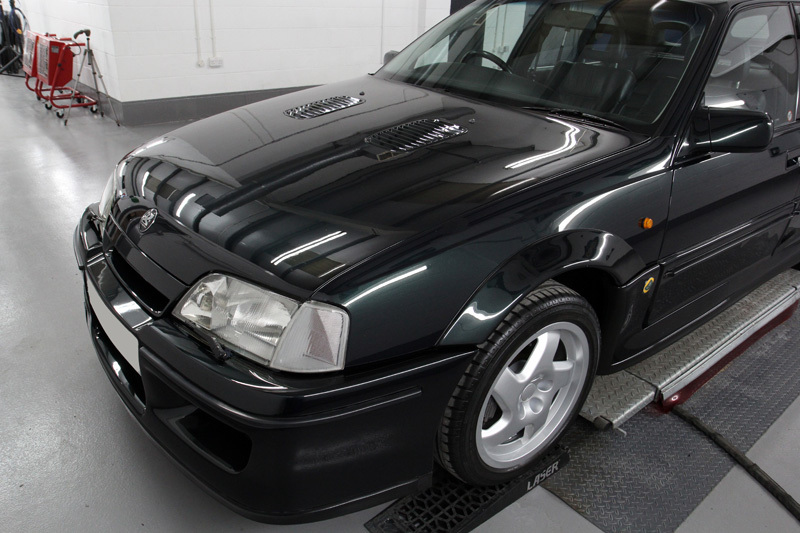 Although the Lotus Carlton is going to be a ‘high days and holidays’ car, the owner had requested the windshield be treated with a rain-repelling coating. As a result, Kamikaze Collection Intenso Window Coat was applied to provide a hydrophobic barrier which encourages rainwater to bead and blow away. 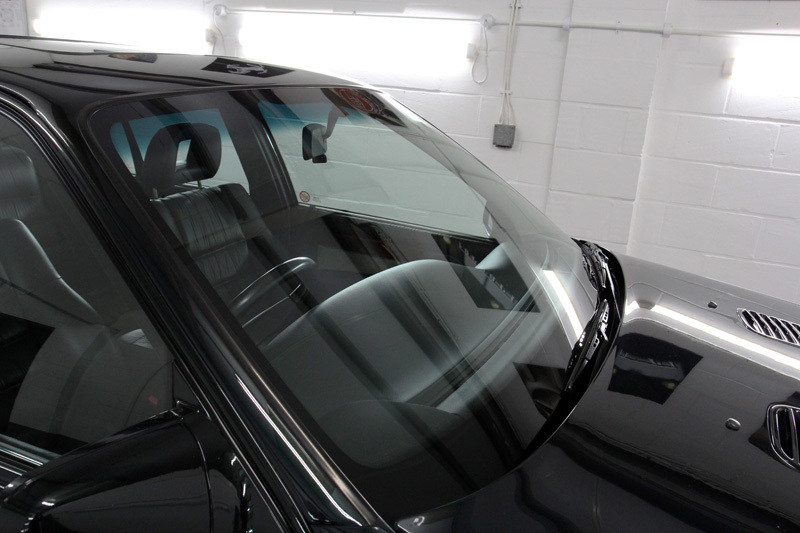 This brand new product has a super slick formulation to eliminate the wiper judder associated with many window coatings. The final touch, Gtechniq T2 Tyre Dressing, was added to give the tyres a natural satin sheen, and the Lotus Carlton was ready for collection. It truly is a stunning example of this modern day classic!